Oral history gives history back to the people in their own words. And in giving a past, it also helps them towards a future of their own making. Oral history and life stories help to create a truer picture of the past and the changing present, documenting the lives and feelings of all kinds of people, many otherwise hidden from history. It explores personal and family relationships and uncovers the secret cultures of work. It connects public and private experience, and it highlights the experiences of migrating between cultures. At the same time it can bring courage to the old, meaning to communities, and contact between generations. Sometimes it can offer a path for healing divided communities and those with traumatic memories. Without it the history and sociology of our time would be poor and narrow. In this fourth edition of his pioneering work, fully revised with Joanna Bornat, Paul Thompson challenges the accepted myths of historical scholarship. He discusses the reliability of oral evidence in comparison with other sources and considers the social context of its development. He looks at the relationship between memory, the self and identity. He traces oral history through its own past and weighs up the recent achievements of a movement which has become international, with notably strong developments in North America, Europe, Australia, Latin America, South Africa and the Far East, despite resistance from more conservative academics. 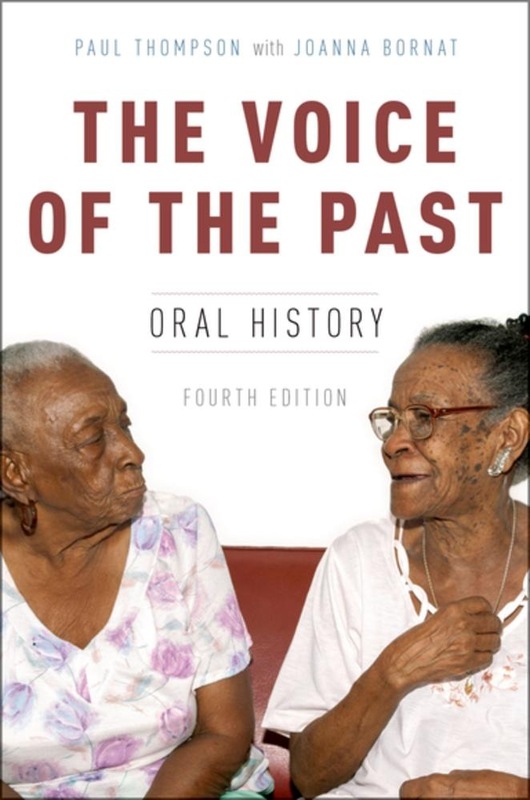 This new edition combines the classic text of The Voice of the Past with many new sections, including especially the worldwide development of different forms of oral history and the parallel memory boom, as well as discussions of theory in oral history and of memory, trauma and reconciliation. It offers a deep social and historical interpretation along with succinct practical advice on designing and carrying out a project, The Voice of the Past remains an invaluable tool for anyone setting out to use oral history and life stories to construct a more authentic and balanced record of the past and the present. Acquista The Voice of the Past in Epub: dopo aver letto l’ebook The Voice of the Past di Paul Thompson ti invitiamo a lasciarci una Recensione qui sotto: sarà utile agli utenti che non abbiano ancora letto questo libro e che vogliano avere delle opinioni altrui. L’opinione su di un libro è molto soggettiva e per questo leggere eventuali recensioni negative non ci dovrà frenare dall’acquisto, anzi dovrà spingerci ad acquistare il libro in fretta per poter dire la nostra ed eventualmente smentire quanto commentato da altri, contribuendo ad arricchire più possibile i commenti e dare sempre più spunti di confronto al pubblico online.